Mexican director Guillermo del Toro says he loves Hamilton so much he'd like to set up his own studio in the city. 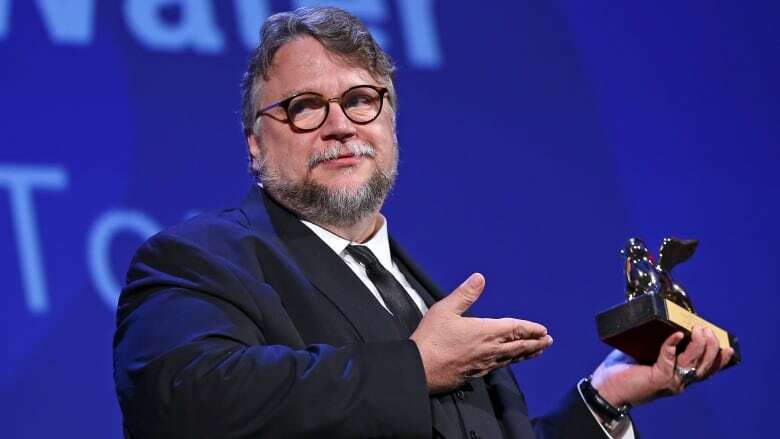 Mexican director Guillermo del Toro says he loves Hamilton so much he'd like to set up his own studio in the southern Ontario city. The Pan's Labyrinth director gushed about Hamilton and Toronto as he discussed his latest Ontario-shot feature, The Shape of Water, at the Toronto International Film Festival. Del Toro says he's watched Hamilton evolve since the 1990s and calls it a "powerhouse" of creativity — and great pancakes. The filmmaker live-tweeted about his favourite Hamilton restaurants and book stores last year as he worked on the fantasy romance, already an awards-season contender after buoyant early reviews. The Shape of Water won the Venice Film Festival's top prize on Saturday, snagging the Gold Lion just before heading to TIFF. Sally Hawkins stars as a mute janitor who discovers a strange amphibious creature at the U.S. government laboratory where she works. Del Toro says he packed the '60s-set fairy tale with nods to classic Hollywood films. And he had lots to say about his affection for the city known as the Hammer. "I love Hamilton, I love it. It has some of the greatest stores, book stores, restaurants. It's really a transforming city," del Toro told a TIFF press conference Monday. "But also what I love is the energy and I think the city is incredibly generous with filmmakers. It really is and it makes a huge difference. If I have it my way, I'll have a studio there soon when I recuperate. I love the city." This is del Toro's fourth movie shot in the Greater Toronto Area, which also hosted Pacific Rim, Mama and Crimson Peak. He said his love affair with Toronto began when he made the 1997 horror film Mimic in Toronto. "Everything else was horrible. The relationship with the studio, the process of making the story, it was absolute hell. But I remember the wild days of King Street and Queen Street in the '90s. I remember all the video stores, I remember all the comic book stores, I remember the book stores, the sensation of a city that was really — and I still feel is — culturally so alive and so plural," he said. "That wouldn't be anything if the people in Toronto were not top-notch technically and artistically to deliver any movie you need, of any scale you need in the world. And so there's a sense of family, there's a sense of gratitude and there's a sense of belonging and a sense of loyalty. "That's why I want to keep coming back." The Toronto International Film Festival wraps Sunday.